Wherever in the world it is present, Gault&Millau provides expert recommendations and promotes locally representative products. Thus, in addition to the restaurants guide which is published in every country within the network, the wine guide has a tradition of over 20 years in Germany and Austria, the champagne guide in France is valued by enthusiasts in the field and the beer and, respectively, chocolate guides in Belgium represent an ideal means for discovering artisanal goods. “Romanian wine has a potential in which we believe and it is the reason for which we launched the local Gault&Millau Wine Guide. Our principles are transparent and clear, developed during the over 30 years of experience of the Gault&Millau network in this segment: independent expertise, impartiality towards market commercial interests, a constructive approach, giving a chance to all producers, irrespective of their size, in the evaluation process. The next step after the launch will be to promote the Romanian wines selected in the guide, as well as their producers, both in Romania and internationally”, declared Raluca Hritcu and Stefan Mortici, co-CEOs Gault&Millau Romania. The highest score of a Romanian wine in the Gault&Millau ranking is 94 points of 100, for Smerenie 2016 from Oprisor winery, which also received the prize for the Best Red Wine. 22 Romanian wines have obtained +90 points, among them red, white, rosé and sweet, made from international, but also native varieties. This achievement demonstrates the diversity and complexity of the market, the quality of local wine and its competitiveness. The most important conclusion of this first edition of the guide is that local varieties represent Romania’s chance of having an important place on the global wine scene, whether they are Feteasca Neagra, Feteasca Alba, Negru de Dragasani, or lesser known ones such as Zghihara de Husi. In the next period, the Gault&Millau Guide to Romanian Wines 2019 will be launched in Paris on 8 December and presented in Bordeaux in February 2019 at “La Cité du Vin”, one of the most important wine fairs in the world, both projects being part of the France-Romania Cultural Season. The guide will be promoted in the entire Gault&Millau network, through events, articles about the selected wines and interviews with the Romanian producers. 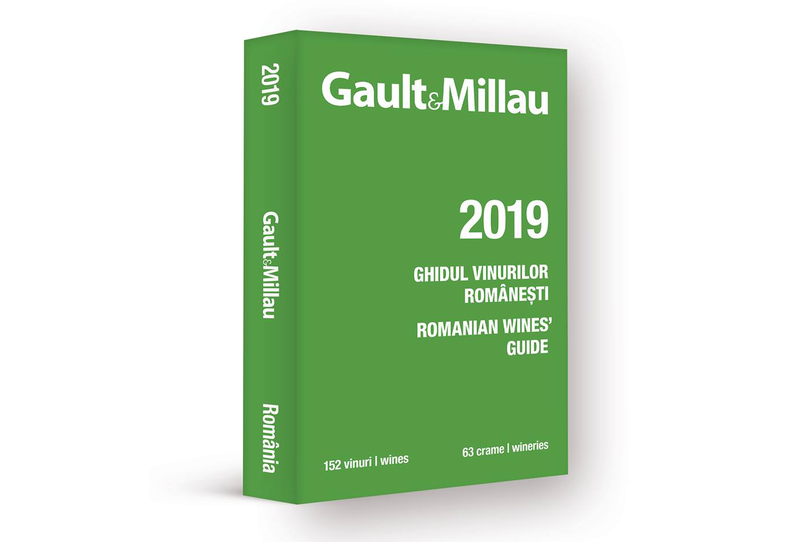 The 2019 Gault&Millau Guide to Romanian Wine will be available in the classic press distribution and bookstores network with the price of 49 Lei. The methodology comprised three main stages, as well as the collaboration with a team of local experts for the pre-selection stages and a team of international experts for the final stage, of evaluation. During the first stage, a long list of Romanian wines was prepared, with over 1000 entries from over 80 producers, with the support of Sergiu Nedelea (sommelier) and Robert Marshall (consultant, WSET). Next, in the second stage, the local experts made a selection of 220 labels based on the long list of +1000 entries. The essential criteria for this selection were the relevance of the varieties, local and regional particularity, the size of the wineries, the wines’ age, their availability for purchase/consumption, with attention being focused both on large wineries and small producers, international varieties, as well as local, including lesser known ones. Also, during this stage, the selected wineries were informed about the project and their wines being included in the list proposed for evaluation. The third stage, the evaluation, was made by a team of international experts composed of Ana Sapungiu (Master of Wine), Caroline Gilby (Master of Wine) and Isa Bal (Master Sommelier). The certifications of Master of Wine and Master Sommelier are the highest distinctions that may be obtained by an expert in the field of wine (there are less than 400 MW and less than 400 MS internationally), thus ensuring the highest available level of experience and work ethics. Besides the technical knowledge, it was just as important to select experts without commercial ties to local wine producers. For the evaluation, the international experts’ team applied the international Gault&Millau methodology and granted scores to each label following tastings performed in several rounds. The tastings were “semi-blind”, with the evaluators not knowing the labels, but having information about grape varieties and production year. The minimum scores for entering the Gault&Millau guide to Romanian wines were +80/100 for POP wines (accessible, with a good quality/price ratio, price under EUR 10) and +84/100 for the main segment of the guide (recent production & older labels). Of the 152 wines from 63 local wineries included in the 2019 selection, 130 wines are in the main segment and 22 are POP wines, thus covering a wide range of varieties, winemaking methods, geographical regions and production years. 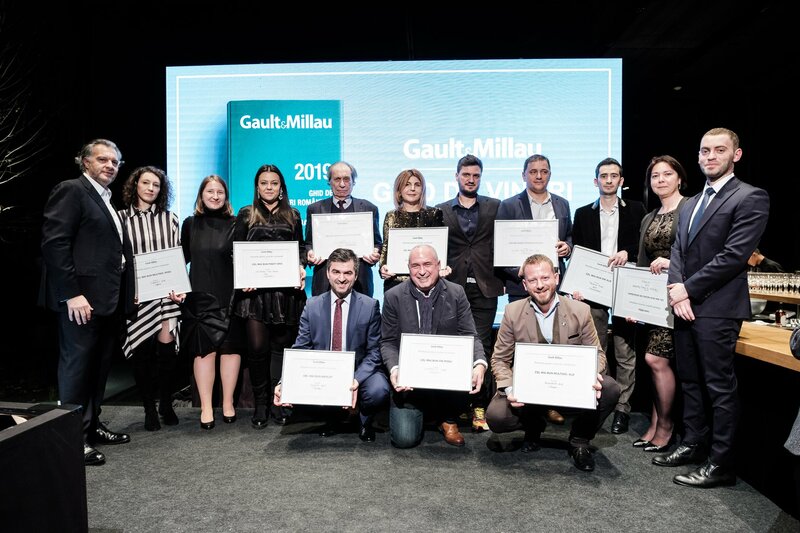 Gault&Millau is the first international gastronomy guide to enter the Romanian market. The guide was first published in France, 50 years ago, by two passionate journalists - Henri Gault and Christian Millau – and became known for supporting the representatives of the new French cuisine such as Paul Bocuse or the Troisgros brothers. Over time, the guide obtained international success, Gault&Millau being now present on 6 continents. In Romania, Gault&Millau published in May 2018 the first local gastronomy guide – a selection of 141 restaurants and POP places in Bucharest and five cities in the country. The Guide, as well as the awards announced during its launching event, became a point of reference for the local gastronomy market.